Whitefish, Montana — January 18, 2017 … Following Neo Nazi, White Supremacy threats of planning an armed march through the streets of Whitefish, Montana, Jews Against Hate are preparing a petition for Congress that would designate all Nazi groups as terror organizations. The British Parliament recently passed into law designating a neo-Nazi group to be labelled a terror organization and banned in a landmark first for the UK. The order proscribing fascist group National Action was submitted before Parliament three weeks ago. It was the first time membership of a far-right group has been outlawed in the UK. “As you read this petition, American Nazis are terrorizing Jewish families and their friends in Whitefish, Montana. They have threatened to bring automatic weapons to a planned march sometime in January or February. The city of Whitefish argues that they will have to allow these racist Nazi thugs into their town based on “free speech”. Incitement to murder and or harm Jews and other minorities is not free speech. The Jewish families of Whitefish and the businesses that they are associated with have all been targeted online with death threats. Why do we allow these death threats and criminal harassment to go unpunished? Have we forgotten the brutal history of the Nazi Party – 11 million murdered in World War Two as the result of racist hate? We are taking this action as the United Kingdom has recently declared the Neo-Nazi, anti-semitic group “National Action” as a terror organization under the Terrorism Act 2000. 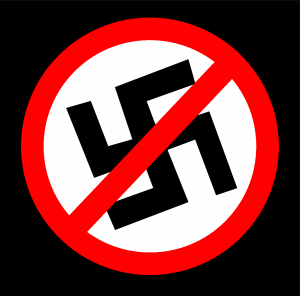 It is now a criminal offense to recruit for, be a member of or in any way support a Neo-Nazi group including displaying Nazi or Nazi supporting flags, posters or banners. We kindly request of the United States House of Representatives and the United States Senate to designate the American Nazi Party AKA National Socialist White People’s Party as terror organizations.